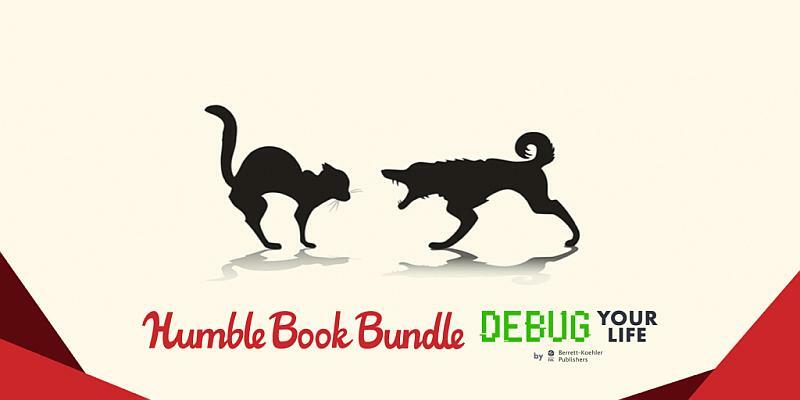 The Humble Book Bundle: Debug Your Life just launched on Wednesday, March 20 at 11 a.m. Pacific time! More awesome ebooks and audiobooks for you. Humble has teamed up with Berrett-Koehler Publishers for the newest bundle! Get ebooks and audiobooks like Negotiating the Impossible: How to Break Deadlocks and Resolve Ugly Conflicts (without Money or Muscle); Change Your Questions, Change Your Life: 12 Powerful Tools for Leadership, Coaching, and Life; The Shift: How Seeing People as People Changes Everything; and The Outward Mindset: Seeing Beyond Ourselves.